IS YOUR DIGITAL GAME MAKING THE GRADE WITH VIDEO AND IMAGES? INDUSTRY CALENDAR - PLAN NOW! 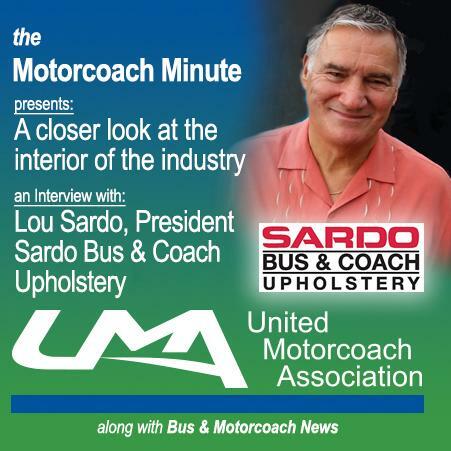 You know the interview with Lou Sardo of Sardo Bus and Coach Upholstery started with a joke, of course, and a litany of all the extended family members who participate in the business. Steven Valley, the host of the Motorcoach Minute talked with Lou and Sandy Follis, Sardo's president of sales, and learned about how the business has evolved over the years and the importance of interior design when it comes to creating a stylish and well-appointed fleet that will win over customers. The future of the motorcoach industry! Grab attention with graphic appeal. It works! New underestimate the importance of showing customers what your business is and what it can do for them. Video and compelling photographs are the keys to upping your digital marketing game because today's consumers prefer to learn about your business without reading a lot of marketing copy. Samantha Scott of Pushing the Envelope Marketing and Public Relations explains how and why you should tell your story visually and gives some tips to make sure your message is received. UMA's government relations team endeavors to keep our members constantly updated in the process of dealing with a broad range of federal, state, and local legislative and regulatory activities. The following topics will assist you in remaining current with issues of importance and your input will assist us in developing sound policy. They're on the UMA website under members only resources, where you can get information you need 24/7. Click any of the links below for more information. ABC Companies announced that Ashley Cornell , who has served as marketing lead for the past three years, will transition to a new role as vice president of strategic accounts, where she will focus on supporting existing accounts and developing new employee-shuttle programs throughout the fast-growing northern California market. Thom Peebles is ABC's new vice president of marketing. Peebles joins the company from JCB, a UK-based global leader in the manufacture of construction and agricultural heavy equipment where he served as vice president of marketing, North America. For more than 20 years, Peebles has served in various marketing leadership roles including Director of Brand Management for Hyster-Yale Materials Handling Inc., and director of business development, as well as brand marketing director at Michelin North America. David W. Cooper of the Transportation Security Administration (TSA), will be the keynote speaker for the Greater New Jersey Motorcoach Association's Annual Meeting on October 11, 2018. He will discuss bus security and ways operators can enhance their security assessments and planning, training and exercises, and information sharing. The TSA's Highway and Motor Carrier Section is responsible for security in the over-the-road bus community working directly with associations and operators to reduce the likelihood of terrorist attacks against the industry. 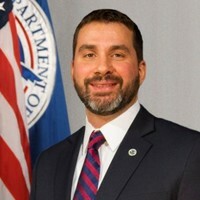 As the Industry Engagement Manager for Highway and Motor Carrier within TSA's Office of Security Policy and Industry Engagement, Cooper has responsibility for coordination and collaboration with public and private stakeholders on behalf of TSA. For more information go to the GNJMA website. 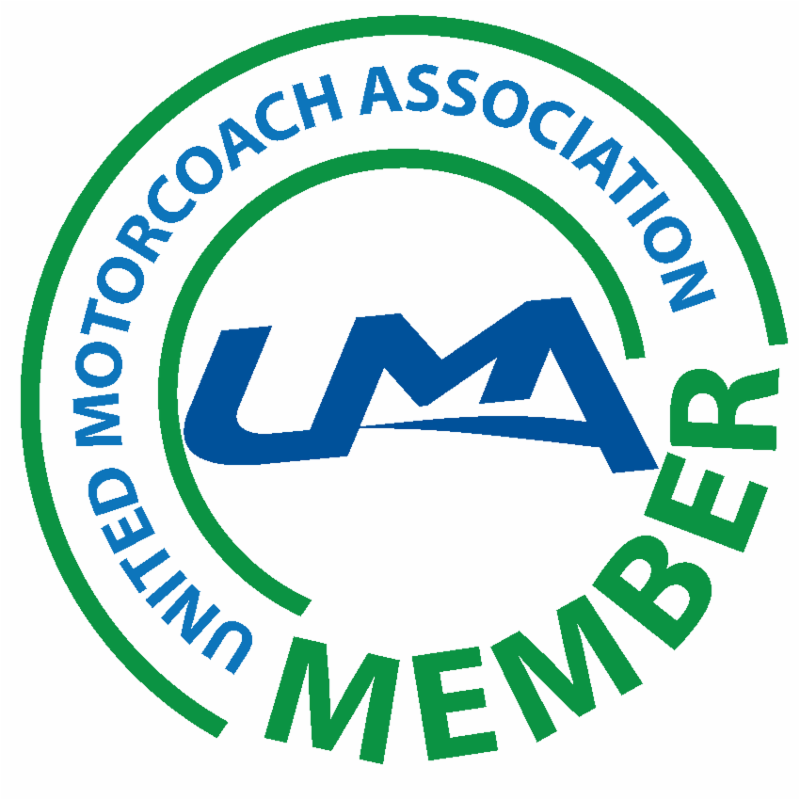 Bus & Motorcoach News is mailed twice monthly to all UMA members. In addition, it's available online 24/7 at www.busandmotorcoachnews.com and by email, on a schedule you choose! Invite everyone on your staff to stay informed about the industry by signing up for email updates from Bus & Motorcoach News . Sign up here. Dave Myerhofer’s experience, dedication and pride carried him to his second national championship in the UMA Maintenance Competition at Motorcoach Expo 2018 in San Antonio. His scores on written and hands-on diagnostic tests had to excel — he was competing against other former champions. “I’ve been working on buses for 29 years with the same company. It’s something I fell in love with. I take pride in the buses and feel like they are mine,” said Myerhofer, who turns wrenches and runs computer diagnostics at Kobussen Trailways in Kaukauna, Wis.
Read the complete article at Bus & Motorcoach News online. GRAIN VALLEY, Mo. 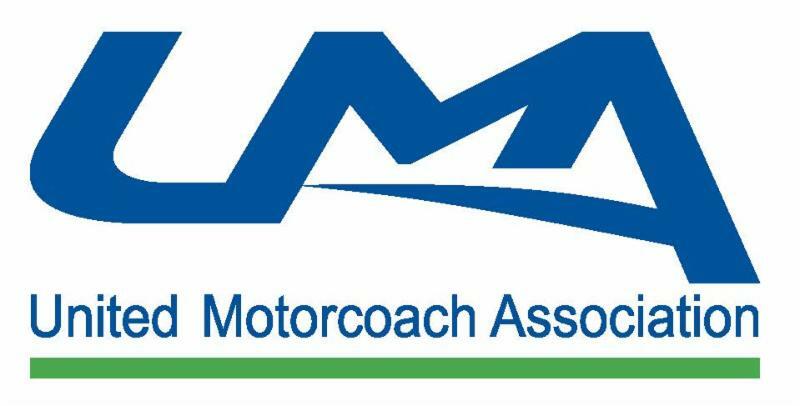 – The Owner-Operator Independent Drivers Association, which represents small-business truckers, is opposed to allowing drivers younger than 21 to operate interstate commercial motor vehicles. 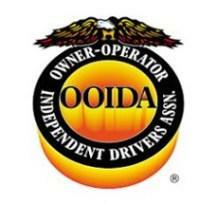 OOIDA, along with Advocates for Highway and Auto Safety and 12 other organizations, sent a letter to federal lawmakers urging them to oppose two House bills that would allow younger drivers to operate interstate CMVs. The letter states that the impetus for the bills – a shortage of drivers – does not exist and points to statistics to support the fact there are plenty of drivers for any future supply needed. Reach the UMA staff by calling (703) 838-2929 or by email at info@uma.org. We love to hear from our members!